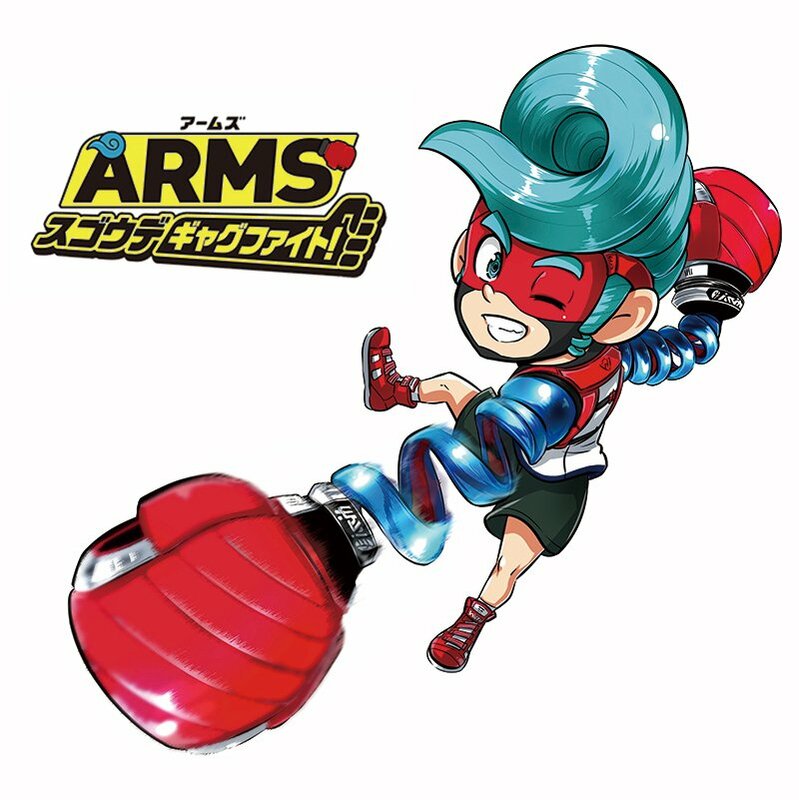 In the Japanese magazine CoroCoro, a new manga has started for ARMS. The newest issue has the debut chapter. It looks more along the lines of a gag manga, but it’s pretty interesting nonetheless. 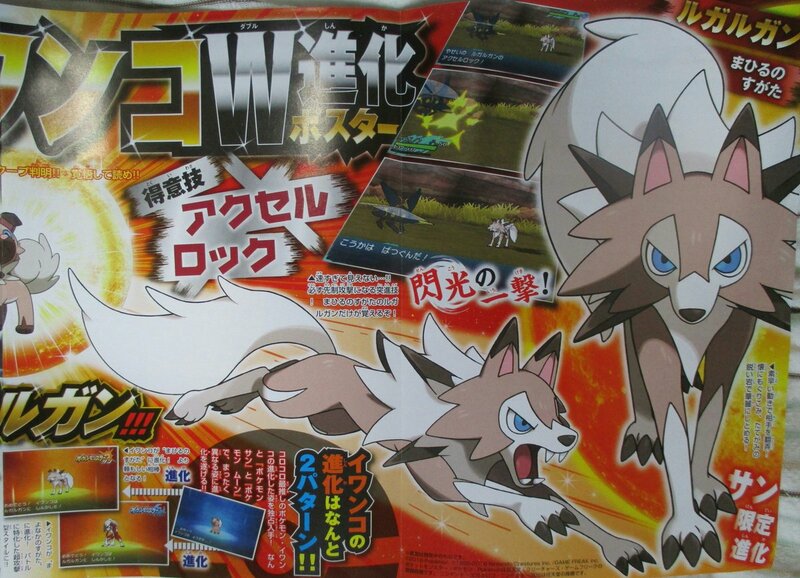 CoroCoro even has a few sample pages that can be viewed online. It’s accessible right here. This month’s CoroCoro issue has started to leak early. 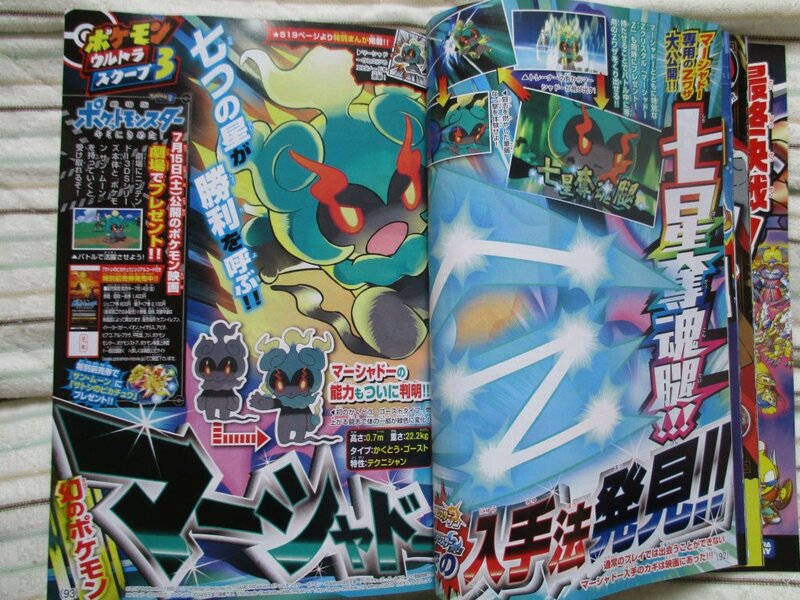 Last month we reported that CoroCoro would be revealing new information on the Mythical Pokemon, Marshadow and it looks like they did. Marshadow will be distributed with the new Pokemon movie on July 15th 2017 in Japan. There is also some artwork for Marshadow when it uses its special moves and its Z-Move called Soul-Stealing 7-Star Strike. 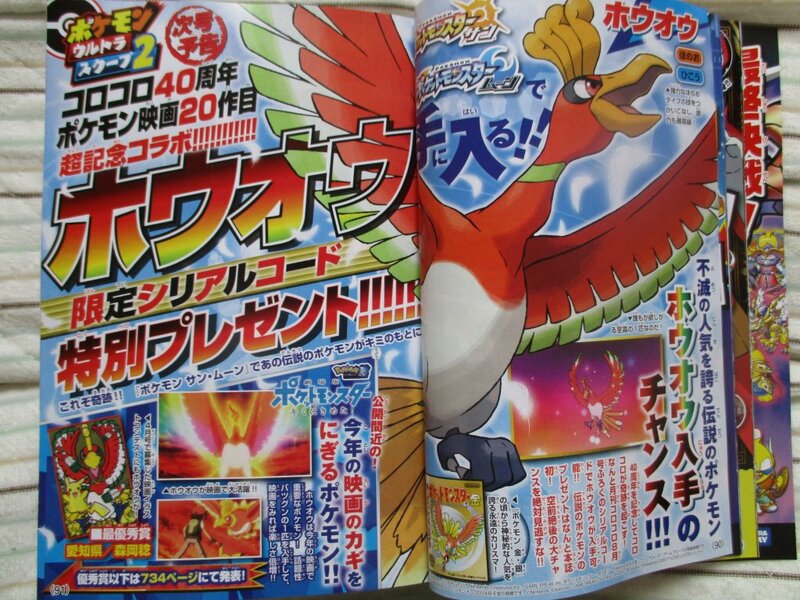 CoroCoro also reconfirms that Ho-Oh distribution happening via Serial Code is still happen in next month’s issue of the magazine. 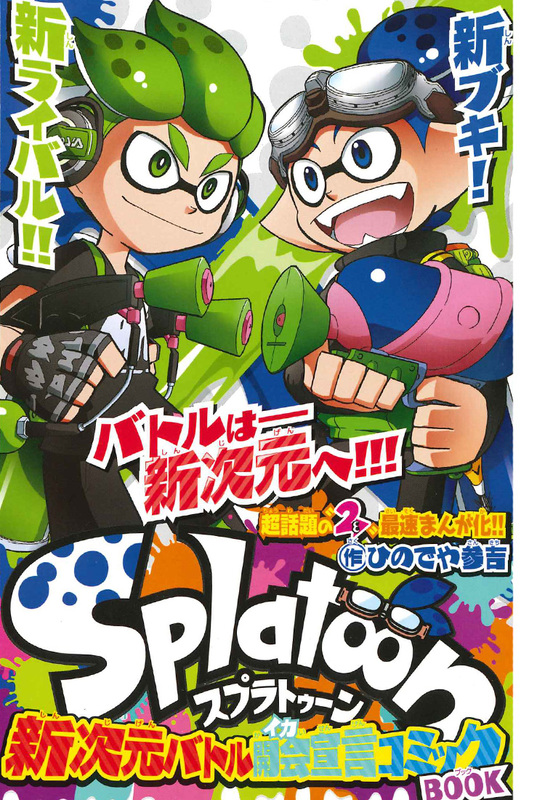 In February of last year, CoroCoro published a special Splatoon manga chapter for free online to celebrate the release of the regular Splatoon manga that started running in Bessatsu CoroCoro Comic around that time. Now, a year later, a second chapter of the manga is available for free online. You can read it here – in Japanese, naturally. The Legend of Zelda: Breath of the Wild is set to arrive sometime this year, but it’s unknown when exactly it’ll be available. Many had hoped that the game would be ready for Switch’s launch in March. That’s definitely still possible, but one prominent rumor had it pinned down for summer instead. 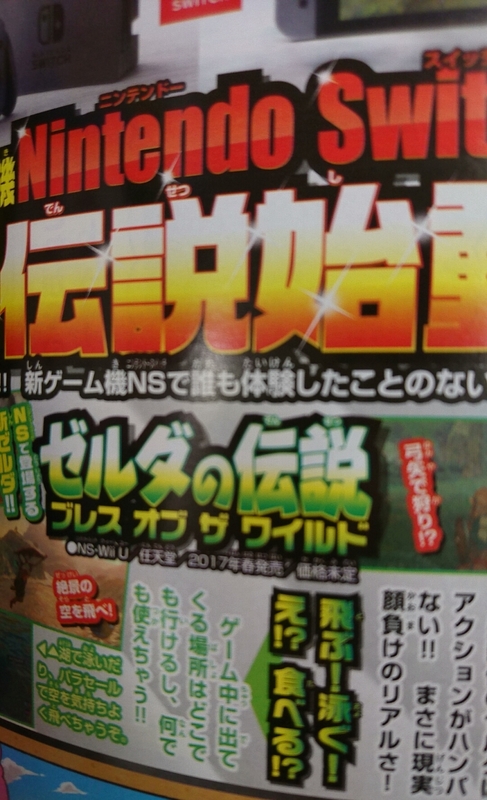 CoroCoro, a manga magazine in Japan, believes that we’ll be seeing Breath of the Wild in the spring. That’s by no means an official window, but it is interesting enough to at least bring up here. 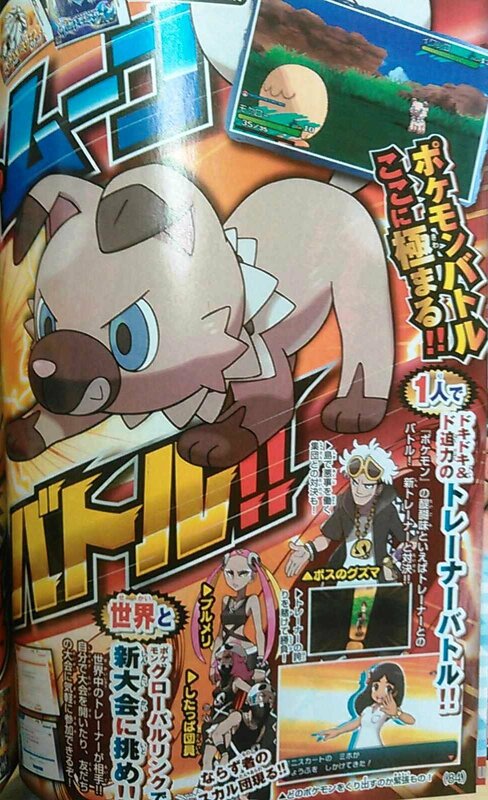 The picture below is being spread on the likes of 2ch after it was taken from Bessatsu CoroCoro. That’s the magazine which publishes the Splatoon manga series. 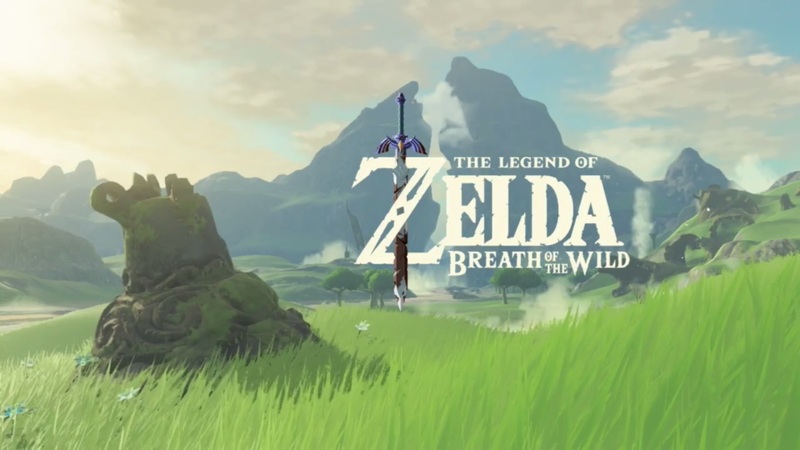 Aside from CoroCoro, there are a couple of updates that have taken place over the past few days which may point to Zelda: Breath of the Wild launching in just a couple of months. First, Laura Kate Dale mentioned on Twitter today that she’s heard of the game being out alongside Switch from a Nintendo of America source (as opposed to Nintendo of Europe). UK retailer GAME is also advertising Breath of the Wild for March, though it’s unclear how much stock we should put into that at present. The latest issue of CoroCoro has been delivering some official news about Pokemon Sun/Moon. 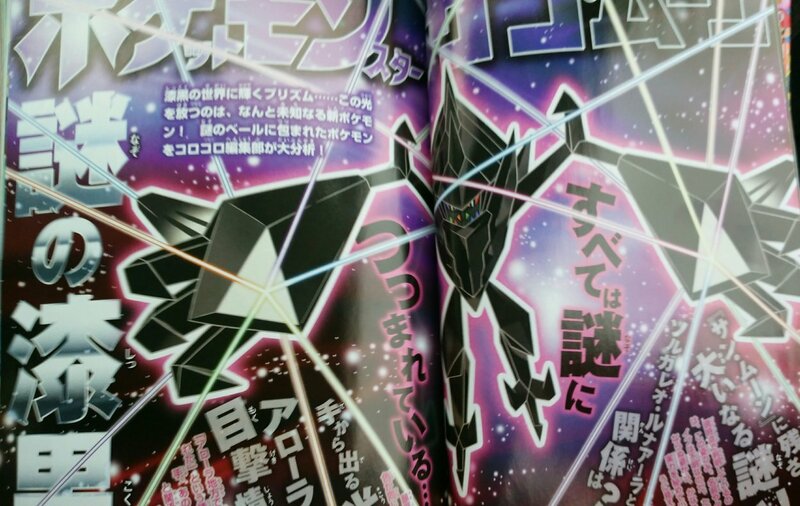 A couple of new Ultra Beasts were shown in scans on Friday, but another image from the magazine has emerged showing yet another one. The scan above provides a look at UB-05 Gluttony. 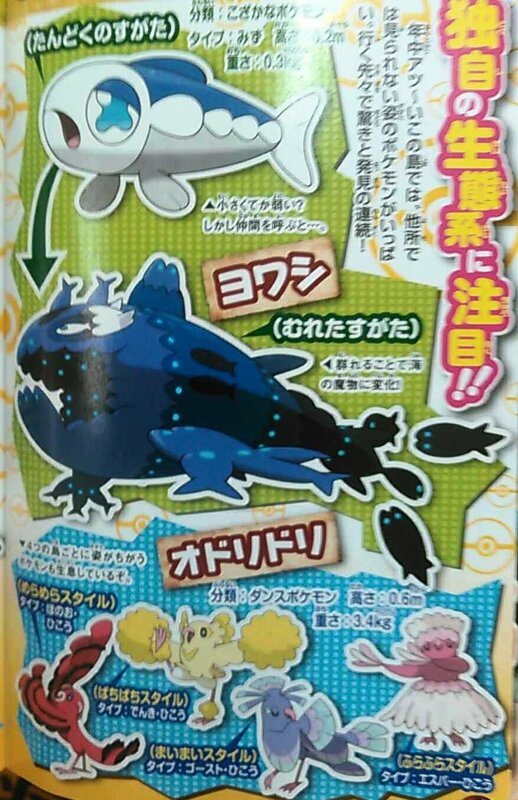 Unfortunately, CoroCoro doesn’t go into any details about the creature. We’re only able to see its design. The release of Pokemon Sun & Moon is almost upon us and Nintendo has seemingly stopped with the regular video releases that reveal new Pokemon. 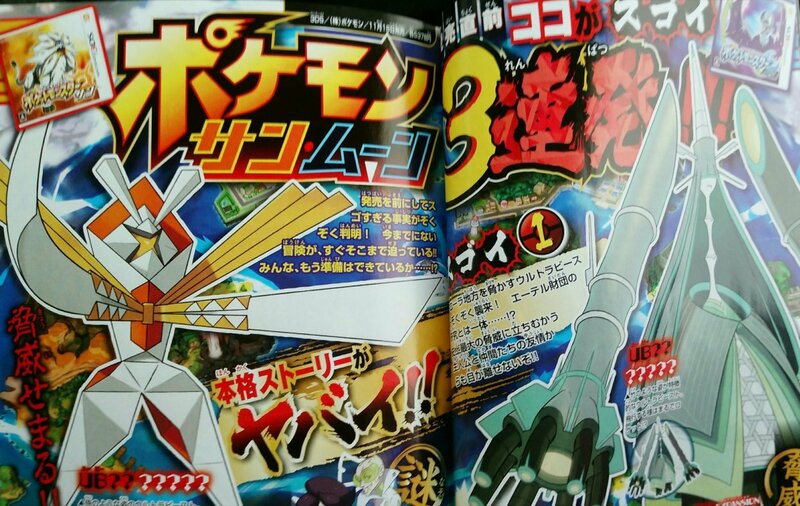 However, CoroCoro magazine apparently isn’t stopping anytime soon. Scans of its latest issue have leaked today, and they show two new Ultra Beasts, one new Pokemon and exclusive Z-Moves for the starter Pokemon. 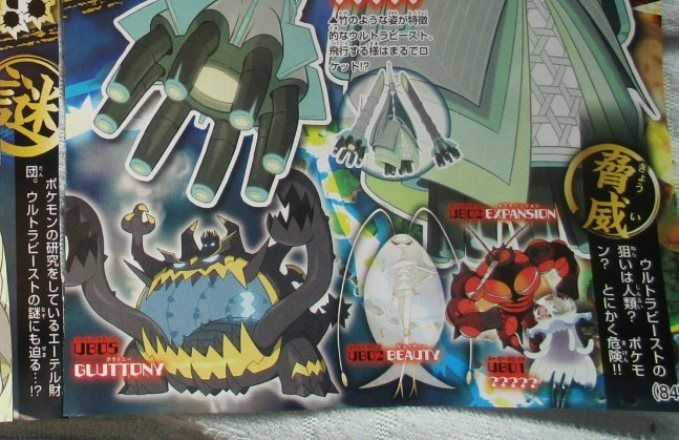 Interestingly, the names / numbers of the Ultra Beasts are not revealed – however, it seems like these Ultra Beasts might be version exclusives, based on the layout of the magazine page and their colors. CoroCoro also states that the new Pokemon is quite a mystery, and wonders how it is related to Solgaleo and Lunala. Decidueye’s unique Z-Move is called “Shadow Arrows Strike” in Japan, while Incineroar’s is called “Hyper Dark Crusher”. 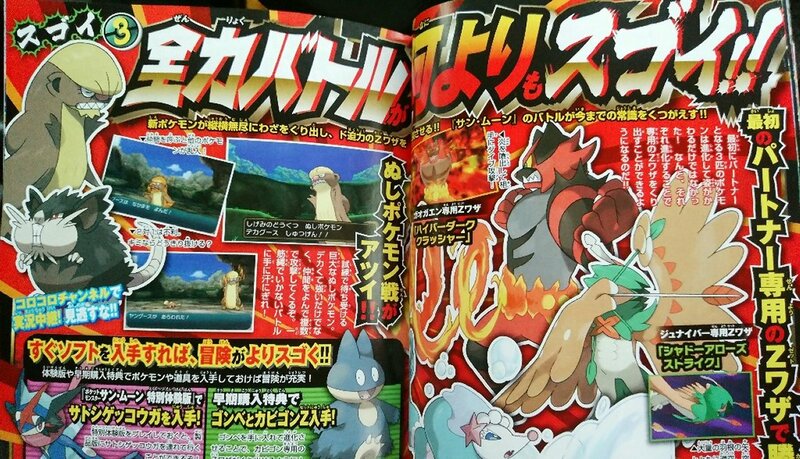 More and clearer scans will likely pop up soon; we will keep you updated. Yo-kai Watch 2 ended up releasing as two separate games in Japan. A few months later though, Level-5 prepared a new version known as “Shinuchi”. The same thing is now happening with Yo-kai Watch 3. The latest issue of CoroCoro reveals Yo-kai Watch 3: Sukiyaki. 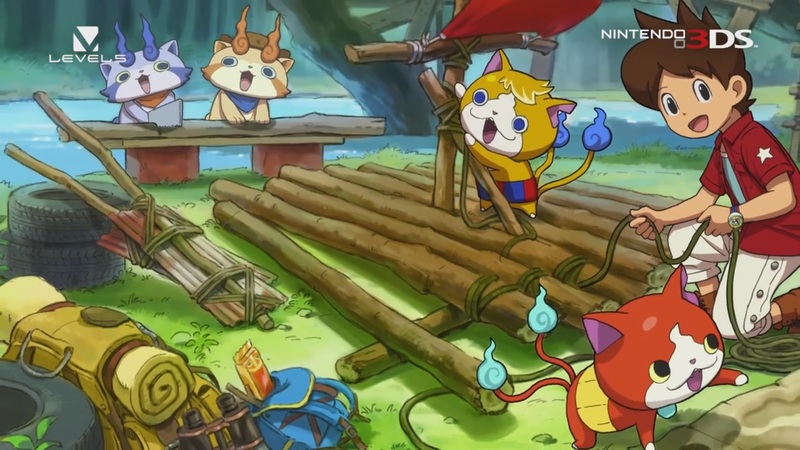 Quite a number of Japanese fans predicted Level-5 would end up bringing out a third entry for Yo-kai Watch 3, and had even guessed the subtitle. Yo-kai Watch 3: Sukiyaki will be released in Japan on December 15. The original Sushi and Tempura versions will be receiving an update on the same day. However, it’s unknown though whether the update will make them totally in par with Sukiyaki. Details about Sukiyaki are mostly unknown at this time. That being said, with Yo-kai Watch 2: Shinuchi, Level-5 prepared some new elements and mixed the content of Bony Spirits and Fleshy Souls. The company may go down a similar path with Sukiyaki. Up until now, the Kirby Moretsu Pupupu Hour manga by Taniguchi Asami had been serialized in CoroCoro. However, it’ll be ending with the October 2016 issue of the magazine. To replace that, a new Kirby manga series Manpuku Pupupu Fantasy by Takeuchi Ibuki will take over starting from the November 2016 issue. The next edition is due out on October 15. First up is a Water-type fish Pokemon called Yowashi. There is also a larger, monstrous fish pictured, which is made up of many tiny fish, though this seems to be an actual school of Yowashi, and not necessarily an evolved form. 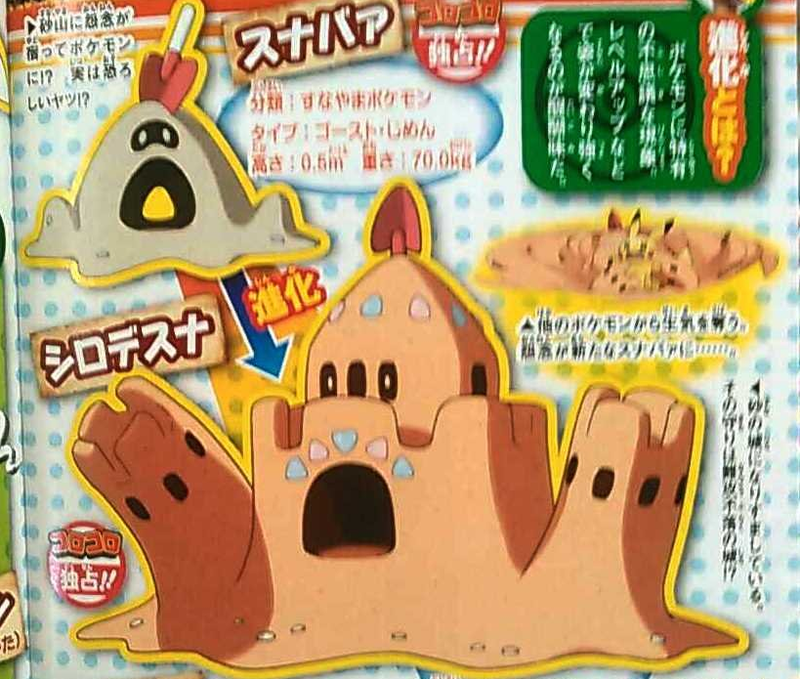 Second are two Pokemon based on sandcastles, with the first (Sunabaa), resembling a small mound with a shovel sticking out of it, while its evolved form, Sunadeshiro, is a full castle. Both of these are Ghost/Ground type. 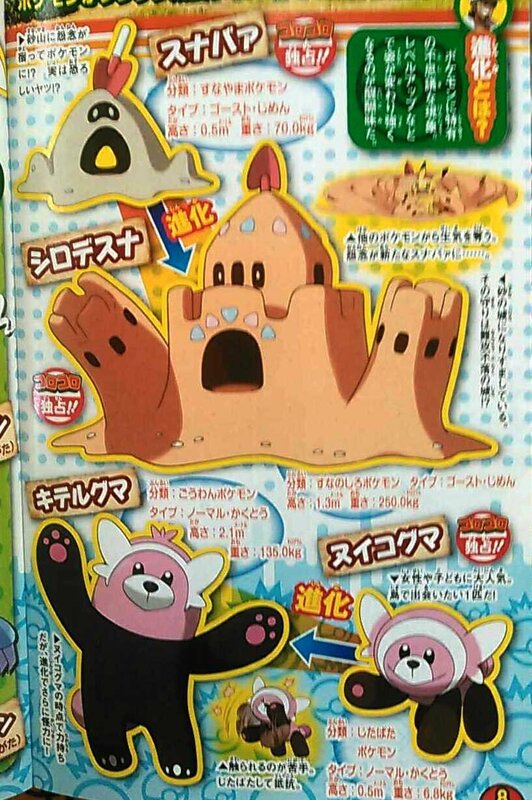 Finally (at least for brand-new Pokemon), Bewear has a pre-evolved form, which is a small cub, called Nuikoguma. Like Bewear, it is Normal/Fighting. 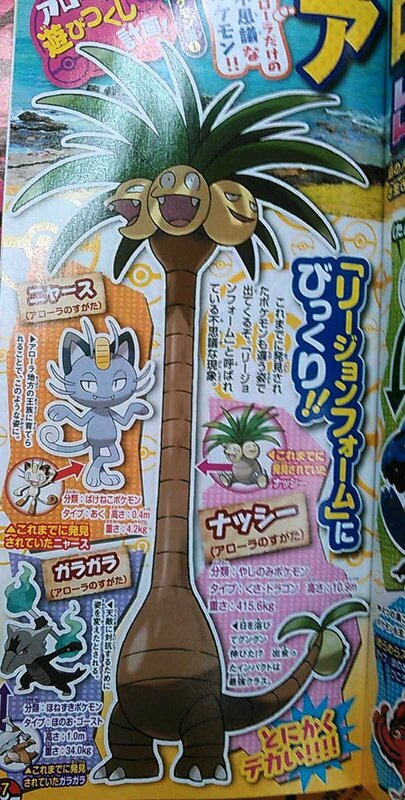 However, the new reveals don’t end there; there are two new Alola forms revealed as well, for Marowak and Meowth. Alolan Marowak is a Ghost/Fire type, and it appears to be based off a fire dancer. Alolan Meowth is a Dark-type. Furthermore, there is a tease of the antagonists of the game, Team Skull. They are featured at the bottom of the page with Rockruff, although little is detailed about them. The boss’s name is Guzuma, and the woman is Burumeri. 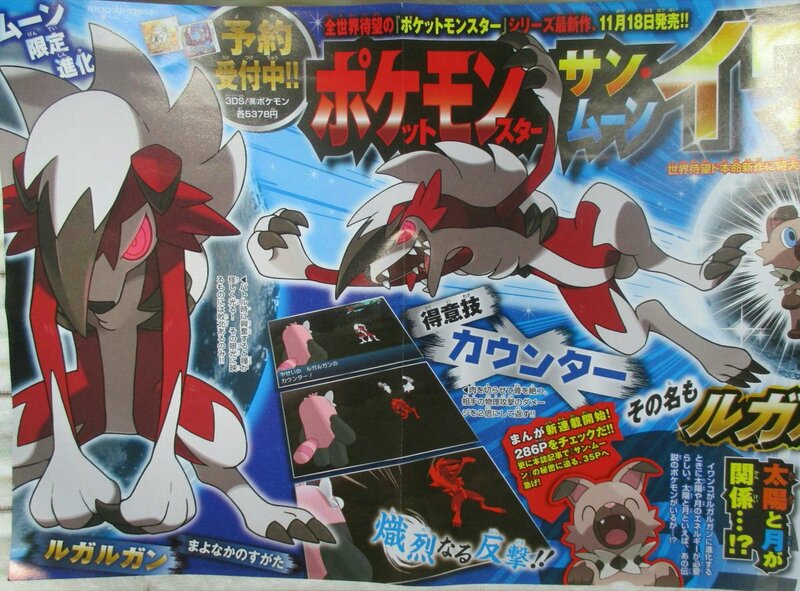 Finally, next month’s issue of CoroCoro will feature an evolution for Rockruff. Hopefully, when more information on the games drops later in the week, we’ll have better reveals for all of this new information.